MINNESOTA: Anti-LGBT Republican Attorney General Candidate Vows To Fire Every Dem Lawyer If Elected - Joe.My.God. Republican Attorney General candidate Doug Wardlow is coming under scrutiny for comments made during a private fundraiser this week. Audio recorded by a DFL staffer obtained by Bring Me The News, which had earlier been sent to MPR, reveals Wardlow promising a mass firing of Democratic attorneys currently working at the AG’s Office under Lori Swanson in the event of his election. “It’s really exciting now to be in a position for the first time in a half century to take this office back,” he said. 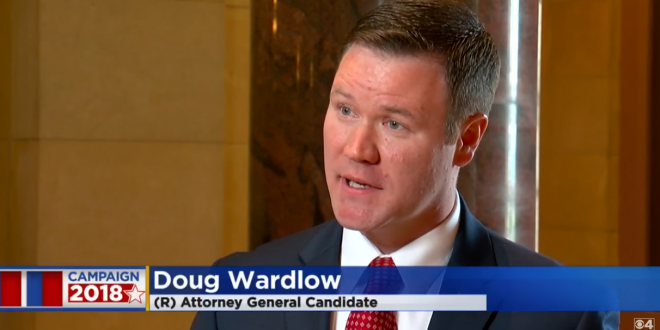 “We’re going to fire 42 Democratic attorneys right off the bat and get Republican attorneys in there.” This seems to be at odds with Wardlow’s previous proclamations that he will take a non-political approach to the AG’s office, accusing his opponent Keith Ellison of being too political. The above-linked article notes that Wardlow has done legal work for the viciously anti-LGBT Alliance Defending Freedom. The race is currently considered a toss-up.